We’re the 2018 Business Advisory Firm of the Year, QLD Accounting Firm of the Year and Finalists for Australian Firm of the Year. We focus on our team and client’s success more than anything else. Learn about or services, culture and what makes us different. 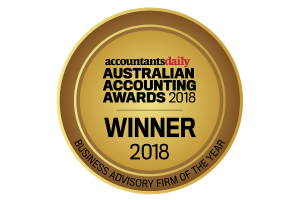 In July 2018, Marsh Tincknell Accountants Brisbane was named Business Advisory Firm of the Year for our Business Growth Coaching Services. This was decided upon by a panel of judges coming from a wide range of industries, and celebrated in Sydney at the Australian Accounting Awards. To us, that is what it really means to be a business accountant. In October 2018, NAB surveyed our clients to find out what they thought of Marsh Tincknell. 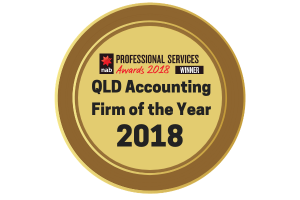 The response we received was overwhelmingly positive and placed us as the most highly rated Accounting firm in Queensland among the 100+ others that were nominated for the award. The office was overwhelmed, and it’s safe to say a few high-fives were thrown that day. It’s our goal to reach the top 5 favourite employers to work for in Australia. This is part of our vision, and achieving it will be an integral part of the overall success of the firm. Our team is our best asset, and we recognise that treating them as such is paramount to achieving a great result for clients. When we asked Sophie from Marsh Tincknell to become our accountant, we were astonished at how much she had to offer compared to our previous accountant. Sophie is professional and thorough and managed to coach even me through our new accounting software with ease. She has a pleasant manner, a quirky sense of humour and is always happy to answer our questions. If you are looking for a small business accountant in Brisbane, look no further than Marsh Tincknell… and ask for Sophie. Thank you for your request, we will send your free lesson to you via. email.